Flavio Prestes III, MDiv, ThD candidate, serves as adjunct professor of biblical studies at the Adventist University of São Paulo, Brazil, and is assistant to the general editor of the Seventh-day Adventist International Bible Commentary. Elmer A. Guzman, PhD candidate, serves as adjunct professor of theology at Instituto Adventista Paranaense, Ivatuba, Paraná, Brazil. Elmer A. Guzman (EG): Welcome, Dr.Doukhan. 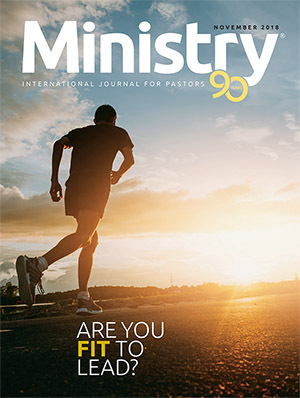 We understand that you are general editor of the new Seventh-day Adventist International Bible Commentary (SDAIBC), a project that began in 2010 and is scheduled to be completed in 2020. Why is a new Bible commentary needed in the Seventh-day Adventist Church, since we already have one? 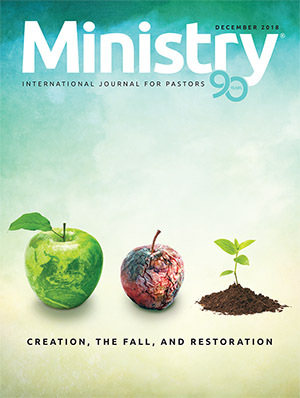 Jacques Doukhan2 (JD): As the Seventh-day Adventist Bible Commentary (SDABC) was produced some sixty-five years ago, it has become more and more urgent to write a new commentary for at least three reasons. 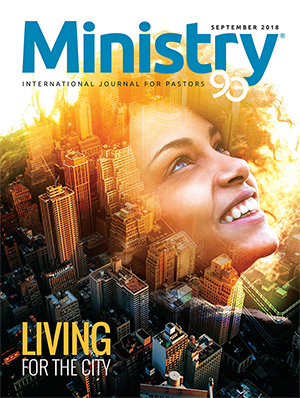 First, the world has changed, and men and women today face new philosophical and spiritual challenges. Second, the knowledge of the Scriptures and its languages has improved. New information and new technical skills have provided us with new findings that illuminate and enrich our reading of Scriptures. Third, the church has changed. From an American majority, it has now grown into an international community. For the first time in history, the Adventist Church benefits from many trained biblical and theological scholars from all over the world who are proficient in every area of expertise. Flavio Prestes III (FP): Could you comment on the title Seventh-day Adventist International Bible Commentary (SDAIBC)? 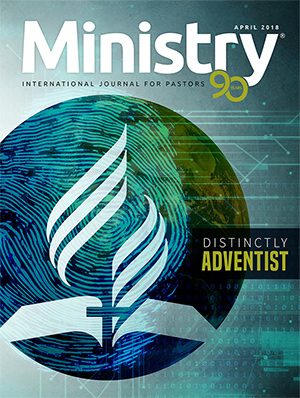 JD: The title,Seventh-day Adventist International Bible Commentary, is meant to denote more than just a confessional identity. This name points both to the beginning and the end of the canonical Scriptures. Seventh-day refers to the first page of the Bible, with the Sabbath that crowned God’s creation and started human history. Adventist refers to the last page of the Bible, with the Advent of the Lord that will conclude human history and bring the life, glory, and peace of God’s presence. Carrying the two poles of Scriptures, the name Seventh-day Adventist is a testimony to the totality of Scriptures and to its profound, unifying message. As for the word International, it testifies to the global identity of its writers as well as to the world the gospel is designed to reach. EG: What is the purpose of the Bible commentary? How should we read it? JD: The Bible commentary is primarily a tool to aid in the understanding of the Scriptures. While its reading may, at times, be easy and interesting, at other times it will be difficult and demand more careful attention. As the traditional SDABC stated, “A commentary is not a storybook, which may be read for idle diversion and with no concentration of mind. A commentary worth the name is a sober, serious work, very literally a textbook.”3 Some may use this commentary in the classroom as a textbook and read it from the first page to the last. Most will use it as a reference work and consult it to address specific problems or because they are interested in particular biblical passages. FP: What is the target audience of this commentary? Who will benefit the most from these books? 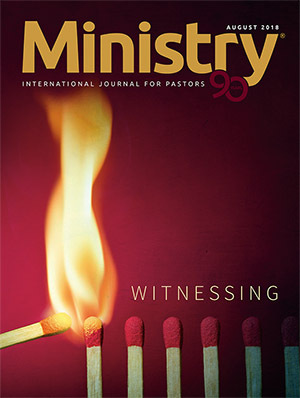 JD: This commentary has, in my view, two kinds of readers.The first consists of pastors, seminary students, theologians, and Bible teachers who explain and expound the message of the Scriptures in a church or classroom. The second group includes all those who are eager to understand the biblical text at a deeper level. Although the commentary has been worked out on the basis of the original Hebrew and Greek texts, it is written so that it may be read and understood without any knowledge of these ancient languages. However, when a reference to the original language is needed to make an argument, transliteration of the Hebrew or Greek word is provided. The authors of this commentary have tried as much as possible to remain simple and clear in their presentation in order to allow as many readers as possible to follow their explanation and argument. Theological and spiritual lessons along with practical applications are integrated within the commentary and presented as we proceed in the reading of the biblical text. For readers who desire more technical details, we have included discussion in the footnotes, along with relevant bibliographical information. EG: What is the approach used in this commentary? How is it different from other Bible commentaries, such as those which favor the historical critical method that deemphasizes the divine element in the Bible? JD: The method followed in this commentary is that of the “close reading” of the biblical text. This means that we have given careful attention to the biblical text, to the way it speaks, involving a study of its words, meaning, grammar, literary forms, literary structure, and theology. 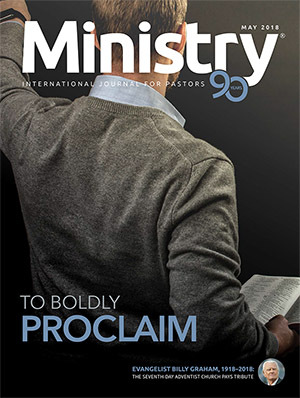 This approach arises out of the conviction that God has acted in history to inspire the biblical writers to convey His message through their own human words and literary expressions. Thus, the text is studied against its historical background, not to determine the context out of which the text arose but, rather, to understand the context within which God communicated His message. This quest for the meaning of the text from within the particular passage under study is accompanied by the quest for further illumination from the entire biblical context (Old Testament and New Testament). Where other commentators are quoted or noted in the footnotes, this is done to give the scholarly acknowledgment to a piece of carefully investigated biblical research or to appreciate a particularly well-worded statement of a truth and does not represent an endorsement or reliance on everything that author may have written. The speculations and philosophical presuppositions of the historical critical method and its derived theories have been strictly avoided. FP: What are some of the Seventh-day Adventist theological contributions to Christianity at large, which will be seen in the new commentary series? What do you hope these contributions will accomplish? JD: I hope that this commentary will be read, appreciated, and respected by other Christians and members of other religions. This project may be viewed as a strategic mission directed at the world at large. I hope these commentaries will not only inform other Christians about the Adventist theology but will also convince many people of the validity, respectability, and relevance of the Seventh-day Adventist testimony of the Word of God. Thus, all the books of this commentary have been the object of intense scrutiny to ensure the correctness and solidity of their theological content and clarity of their expression. For Adventists, it is our hope that the reading of this commentary will not only bring more information and clarity on a given problem or passage but that it will strengthen, enrich, and deepen faith and be an incentive to go further in the exploration of the Scriptures. More importantly, for all, it is our prayer that the consultation of these commentaries will empower the life of the reader and bring him or her nearer to our Lord, the very One who inspired their writing and still speaks to us today. EG: Besides being the general editor for the SDAIBC series, you have been a seminary professor for about forty years. You have also guided many doctoral dissertations. In your perception, what are some of the most important skills people who want to serve God should acquire during their academic training? JD: The most important skill is to study the Word of this God they want to serve. You cannot serve a Master efficiently or intelligently if you do not understand the meaning of His Word, rightly and fully, and if you do not appreciate its beauty, depth, riches, and urgent relevancy. Unfortunately, in this world of communications and mass media, the focus has increasingly shifted from the “what”—the content of the truth—to the “how”—the means of communicating this truth. Little by little the noise of the human voice has covered, if not replaced, the voice of the divine Scriptures. FP: In many parts of the world, a great number of churches are anemic theologically and exegetically. The pulpit is used to promote a variety of interests, but the exposition of the “Holy Text” receives little attention. How could this be reversed? JD: Alas, you are right! This situation may be observed in Adventist churches as well as in many other Christian denominations. Instead of sharing the Scriptures, the pulpit is used more and more to promote human vanity and cultural, or even political, agendas. How can this be reversed? We need to revisit our priorities and have a conversion. This should not come through administrative decrees. You do not solve a spiritual problem through corporate power. Of course, we need the power of the Holy Spirit, who will incite new interests and awaken our sensitivities to His Word. Perhaps on our human level we should simply come back to the Holy Text. Ironically, we often spend more time preaching about the need to study the Word of God than we do actually studying it and letting it speak for itself. We should take care that our sermons are Bible-centered, rather than self-centered. The sermon should be an occasion for the glorification of the Author of the Word, not entertainment or self-exaltation. The pastor often speaks more about him- or herself than about God. Simply go with your members directly into the inspired Text and engage them in the journey and surprises of the Scriptures. 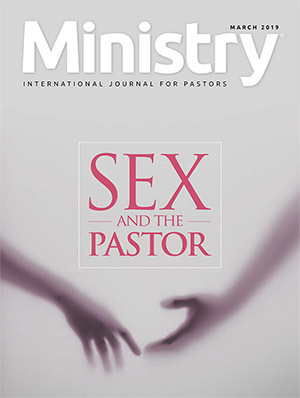 EG: Pastors, at times, perceive that their academic training does not address the issues of their local congregations. In reaction to this disconnect, an interesting trend among Evangelicals has developed, namely, the “pastor-theologian,” one who can unite theory and practice. 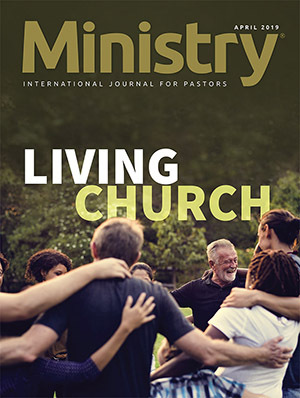 In light of this development, how will the SDAIBC help pastors not only think deeply, but also make the biblical text more relevant to pastoral practice? JD: The commentaries will be helpful not only in clarifying obscure passages but in answering specific questions. Hopefully, the SDAIBC will also assist the pastor in his or her reading of the Bible: it will illuminate sermons and bring fresh meaning to Bible studies. It will certainly strengthen his or her argument in the defense of the Word of God and proclamation of the three angels’ messages. The concept of “pastor-theologian” is, indeed, an interesting one. 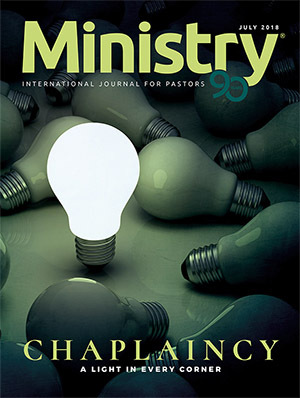 Yes, we need more pastors who can think deeply: who would not just maintain the status quo but could inspire and nurture their congregation with the bread of life. But we also need pastors to be humans in touch with the reality and complexity of the world, who are sensitive to suffering and can relate to people by loving them and being loved by them. So yes, the pastor (and the theology professor) should have both perspectives, just as Jesus was the Great Rabbi and the Great Shepherd. FP: You are well-known for your commentaries on apocalyptic literature (Daniel and Revelation), as well as wisdom literature (Ecclesiastes and Proverbs), not to mention your works on Genesis. Why is it important for the Bible student to navigate many genres? And what are some traps that Adventists should avoid in their passion for the apocalyptic? JD: What defines Seventh-day Adventist identity is this: embracing the comprehensiveness of the Word of God. Seventh-day Adventism seems to be part of a dwindling body of believers that takes the whole Bible seriously—Old and New Testaments—recognizing the same degree of inspiration in both Testaments. The whole Bible should receive our equal attention. There are times, however, when certain portions of the biblical text may be more relevant, depending on particular moments in our lives or various periods in human history. I have personally been drawn to the apocalyptic when I passed through an experience of intense suffering and needed to awaken and nurture my hope. On the other hand, I was personally attracted by wisdom literature because of the depth of its thinking, poetic beauty, and direct existential relevancy. This dual interest can also be observed in the course of history. It is not abnormal to find more interest in the books of Daniel or of Revelation in these days of trouble (and not only in the Seventh-day Adventist Church). Ellen White herself noted that “as we near the close of this world’s history, the prophecies recorded by Daniel demand our special attention, as they relate to the very time in which we are living.”4 But this “special attention” should not distract us from the rest of Scriptures. It would be theologically wrong and psychologically unhealthy to just focus on apocalyptic. History has shown that such an “obsession” has produced mentally disturbed individuals and even dangerous criminals. On the other hand, an excessive attention to wisdom literature at the expense of the apocalyptic may foster skepticism and ultimately lead to the denial of God. Both apocalyptic and wisdom literature are important and should be taken together. The need for this collaboration is even testified in the book of Daniel, which combines both apocalyptic and wisdom. Daniel is there described as both an apocalyptic prophet and a wise man. Interestingly, it is the same combination that is present in the very name that defines our Seventh-day Adventist identity. “Adventist” signifies a longing for the kingdom of heaven in the new creation, while “Seventh-day” signifies an urge to experience the kingdom in this creation. 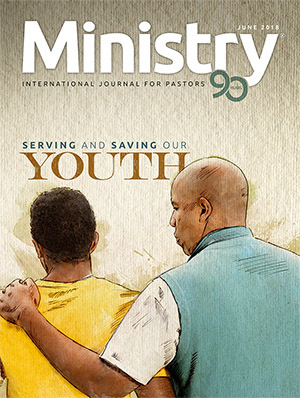 This is why the Seventh-day Adventist faith is not just about theological truths and prophecies, which belong to apocalyptic literature; it also concerns our lifestyle, the way we eat and drink and work, and the way we think and behave in this world, which is the domain of wisdom literature. EG: The Seventh-day Adventist approach to hermeneutics has also distinguished it from others. What is the key factor in our biblical hermeneutics in this regard, and what has been our greatest challenge (e.g., the grammatical-historical method, the cosmic conflict, Christ-centered theodicy)? JD: I think the method of biblical hermeneutics is important to establish clarity. I am not sure, however, that this discussion is crucial everywhere and at all times. Many good Christians are not even aware of these issues, and yet they are near the Word of God. In my view, the “key factor” in biblical hermeneutics is hardly found in any system—but in the adventure of the sacred text itself. This may involve all of the above but also so much more. Another important key factor in the matter of biblical interpretation is the application of the Word of God to our personal existence. There is a two-way process between the Scriptures and the reader. On the one hand, the reading of the inspired text will affect your person and life. On the other hand, the Spirit-led experience of continuous “conversion” will guide your quest for a right understanding of the biblical text. FP: You have written the commentary on Genesis, which has just been published as the first book of the SDAIBC series. How would you describe your experience as the author of this particular book? JD: The experience of writing a commentary on a text that comes from another culture and another time, far removed from us all, a text we believe has been inspired by the infinite God of the universe, inevitably brings the potentially “arrogant” commentator to humility. This has been my personal experience. Commenting on the book of Genesis, the first book of the Bible, which touches everything and is so rich and complex and yet so personal and simple, has been a humbling and exciting journey. Our first contact with this book is ambivalent. On the one hand we marvel before the great God of the universe who created this great masterpiece—our world—and gave life to humans and came close to them, spoke with them, and tenderly cared for their personal needs. These are astonishing stories of divine wonder that convey lessons of ethics, faith, and hope. On the other hand, we stumble on sad and sordid stories about men and women of the flesh. They are cowards (Adam and Eve), liars (Abraham), doubters (Abraham and Sarah), gluttons (Esau), deceivers (Jacob), murderers (Simeon and Levi); they envy (the sons of Jacob), sleep with prostitutes (Judah); and, yet, these sinful humans manage to leave a legacy of high moral and spiritual standards. This paradox carries a relevant message for all of us. These men and women are flesh and blood sinners like us. Their experiences of overcoming are genuine stories that have been written for our benefit (2 Tim. 3:16). EG: How important is the book of Genesis? JD: The book of Genesis has been called the most important book ever written. Without the book of Genesis, the Bible would be incomprehensible. Also, this book has shaped the three major religions in our world (Judaism, Islam, and Christianity) and significantly influenced world culture, art, music, literature, and philosophy more than any other book of the Bible. For Seventh-day Adventists, the book of Genesis is of great significance. It is noteworthy that nearly all Seventh-day Adventist beliefs are found in this book: the seventh-day Sabbath (Gen. 2:2, 3), the unity of human nature (1:26; 2:7), conditional immortality (2:17; 3:19), the law of God (2:16; 26:4, 5), the great controversy (3:15; 32:22–31), salvation (3:15), substitutionary atonement (3:15; 22:1–19), the practice of tithe (14:20; 28:22), the ideal of a plant-based diet (1:29, 30; 9:3), the distinction between clean and unclean meats (7:2, 3; 8:20), the meaning of baptism (1:1–3; cf. 1 Pet. 3:21), the cosmic significance of the sanctuary doctrine (2:2; cf. Exod. 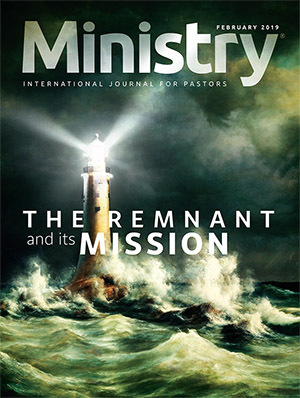 40:38), the Creation (1:1), the Trinity (1:2, 26; 3:22; 18:2, 22), the responsibility of mission to the nations (4:26; 12:3), and the gift of prophecy (3:15; 20:6). The book of Genesis is therefore the ideal place to start our study. 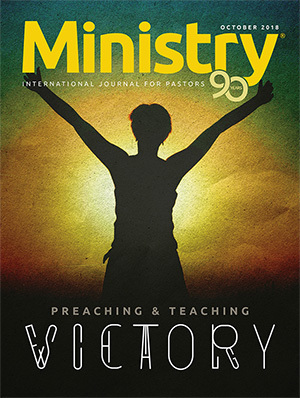 FP: What would you like to say to pastors who sometimes feel inadequate communicating and teaching the biblical message effectively? JD: Paradoxically, I have more confidence in those who don’t know how, and feel their need, than in those who feel they have all the answers and know everything. Significantly, the prophet Daniel begins his process of understanding (Dan. 9:1, 2) only after he realized that he did not understand (Dan. 8:27). My point is to encourage them to keep reading and keep needing. God will answer that prayer. The best way to teach and communicate the biblical message is with humility. Practically, this means to be attentive to the Word, dig into it, interrogate the text, and let the text communicate to you. Sharing it will then flow naturally, with the Holy Spirit in charge of the process. EG: How do you personally read the Bible? JD: The Bible has been an essential part of my life from my earliest years. Everything in the Bible speaks to me. I read the Bible as a precious love letter that my personal Lord sent to me and the world. I want to search every corner to make sure that I do not miss one bit. FP: How would you like Jacques Doukhan to be remembered? JD: For the moment, I prefer to remember rather than to be remembered. 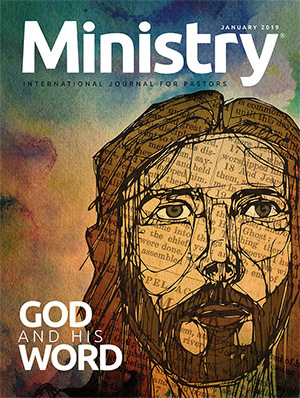 1 A version of this interview was first published in the March–April 2017 issue of Ministério, a sister publication of Ministry, published by the South American Division. 2 Jacques Benjamin Doukhan was born in Constantine, Algeria, in 1940. Along with his family, he moved to France in the early 1960s. There he received two bachelor’s degrees: theology (1967) and Hebrew language and literature (1970). In 1971 he received a master’s degree and completed a doctorate in Hebrew through the University of Strasbourg, France, in 1973. In 1974 he worked on a postdoctoral program at the Hebrew University of Jerusalem. In 1978, he received a second doctorate in biblical studies and systematic theology (ThD) from Andrews University, and in 2004, he received a third master’s degree in Egyptology from the University of Montpellier, France. Dr. Doukhan has taught Hebrew, biblical studies, and exegesis at Salève Adventist Seminary in France (1970–1973, 1978–1980), at the Indian Ocean Union Seminary in Mauritius (where he also served as president, 1980–1984), and at the Seventh-day Adventist Theological Seminary at Andrews University in the United States (1984– present). He is the author of 20 books and numerous articles and he is a former editor of L’Olivier and Shabbat Shalom. 3 Francis D. Nichol, ed., The Seventh-day Adventist Bible Commentary, vol. 1 (Hagerstown, MD: Review andHerald Pub. Assn., 1978), 19. 4 Ellen G. White, Prophets and Kings (Mountain View, CA: Pacific Press Pub. Assn., 1943), 547.